He was of beautiful conformation, exquisitely proportioned with large hocks, well let down, with legs of iron, with unequalled lightness of forehand — a horse of incomparable beauty whose only flaw was being headstrong. An essentially strong stallion type, his quarters broad in spite of being half-starved, tail carried in true Arabian style. 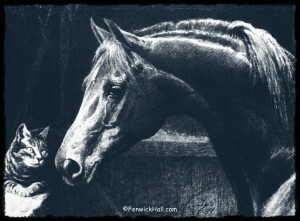 The Vicomte called the horse “Shami,” although he was sometimes called “Scham” in historical texts. The King of France was reported to be unimpressed with the Godolphin Arabian and his travelling companions, possibly because of their poor condition after their journey. The Duke of Lorraine probably got possession of the Godolphin Arabian and sold him to the Duke of Devonshire, Englishman Edward Coke. It’s unlikely that the horse pulled a water cart in France, as portrayed in King of the Wind. 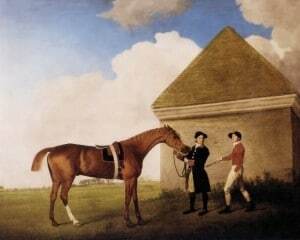 George Stubbs‘ Gimcrack on Newmarket Heath. Gimcrack was a Godolphin Arabian grandson. While in Coke’s ownership, the Godolphin Arabian (called “ye Arabian” in Coke’s records) covered the chestnut daughter of Bald Galloway, Roxana, known as the grey Lady Roxana in King of the Wind. The resulting foal, Lath, was an attractive bay who was called the best runner since Flying Childers, a legend in his own time. The climactic fight between Hobgoblin and the Godolphin Arabian as portrayed in King of the Wind probably never happened. Coke died very young and left Roxana and Lath to his friend, the Earl of Godolphin, while “ye Arabian” was left to another friend, Roger Williams. The Earl of Godolphin purchased the horse from Williams and from then on he was known as the Godolphin Arabian. The Earl repeated the breeding of the Godolphin Arabian and Roxana, next getting the outstanding Cade. Although not as successful on the track as his full brother Lath, Cade left his stamp on the Thoroughbred breed through his son, Matchem, who was a competent runner and the sire of an amazing 354 offspring before his death in 1781. The Godolphin Arabian son Regulus was foaled in 1739 out of another daughter of Bald Galloway. Regulus was undefeated in his racing career and sired many successful racehorses himself, including Fearnought, who was imported to Virginia in 1764. Fearnought is notable because some of his sons were excellent in battle during the Revolutionary War. Lord Godolphin's Lath, watercolor and pencil by James Seymour. In 1755, a Regulus son named Brutus was imported to South Carolina to stand at Fenwick Hall, where he introduced the influence of the Godolphin Arabian to the U.S. for the first time. Several other horses of Godolphin blood were brought to South Carolina in the mid- to late-1700s, establishing a strong foundation of Godolphin Arabian breeding in the American South. Regulus also sired the mare Spiletta who went on to produce Eclipse in 1764, named after a major solar eclipse that happened that year. Eclipse won all of his starts without the use of whip or spur, inspiring the phrase, “Eclipse first, the rest nowhere.” He was eventually retired because no one was willing to bet on his competitors in races. After his death in 1789, it was discovered that his heart was more than twice as large as other Thoroughbreds’ hearts, and Eclipse is credited with passing this trait to Secretariat and Phar Lap. It’s estimated that 95% of Thoroughbreds today have Eclipse in their pedigrees. In the U.S., a series of annual racing awards named after Eclipse are sponsored by the National Thoroughbred Racing Association. The Godolphin Arabian son Janus, sometimes called Little Janus, was imported to the U.S. in 1756 and lived most of his life in North Carolina. He was just a smidge over 14 hands and very stout. His offspring were accomplished at running the quarter mile, so it’s not surprising that Janus helped to define the physique of the later American Quarter Horse. Fearnought, the Regulus son mentioned above, crossed well with Janus daughters, giving the foals more size and endurance. 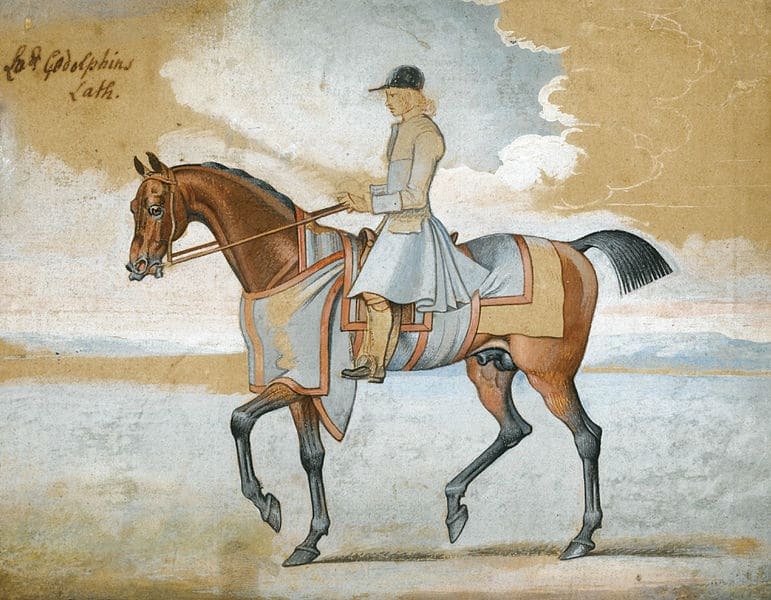 The Godolphin Arabian daughter Selima, out of a daughter of Hobgoblin (the nemesis of Sham in King of the Wind), was imported to Maryland in 1750. In her one appearance on the track, she won the biggest purse at the time, 2,500 pistoles, or 30,000 of the era’s Scottish pounds. She was also an exceptional broodmare who produced race winners and top producers when bred to stallions like Janus and Fearnought. Her son Selim was famous for beating True Briton, who is believed to have sired Justin Morgan later, in a match race in 1765. 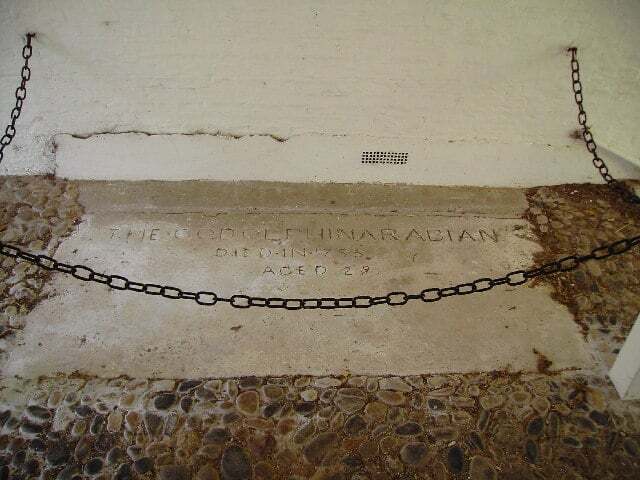 Coincidentally, the father of the Morgan breed, Justin Morgan, carried five lines to the Godolphin Arabian — two lines through his sire and three through his dam. The sire of close to 100 foals, the Godolphin Arabian died in 1753 at the age of 29. 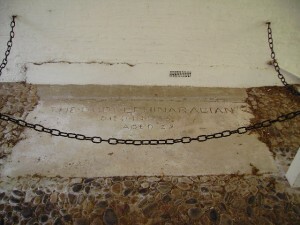 His grave can be visited at the Wandlebury Ring in the Gog Magog Hills southeast of Cambridge, England. 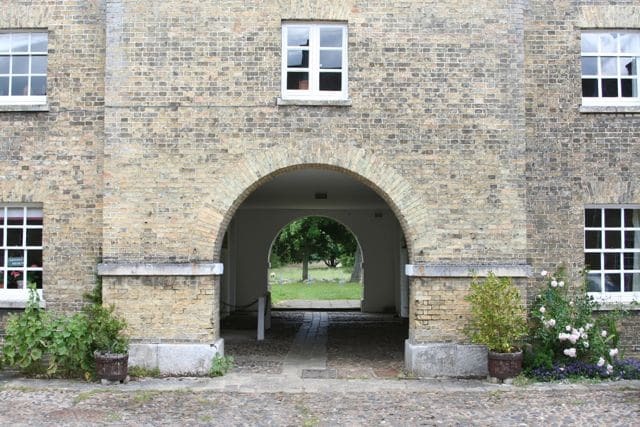 The Earl of Godolphin’s home has been demolished, but the stables remain and the grave can be seen within an archway. The buildings are now used by the Cambridge Preservation Society. More information about the Godolphin Arabian and his descendants can be found at Thoroughbred Heritage. This was really interesting. I loved the book Kind of the Wind. 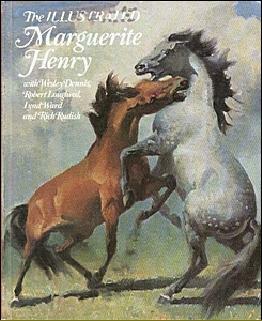 Way back in 1963 our class project (4th grade) was to write to our favorite author, mine was Marguerite Henry. She graciously wrote back to me on a card drawn by Wesley Dennis, and included a picture of herself on her Morgan horse named “Friday.” It is my prized possession today. Thank you for sharing all this information. Very nice! Thank you for your historical account! I was incorporating King of the Wind into one of my blog posts, and thereby came across your post. Very nice and interesting reading! Keep it up. I have a print titled the Duel. It’s about godolfin and the hobgoblin . Does anyone know whom the artist may be. Any help would be appreciated. Hi Darren, is it this image? http://d202m5krfqbpi5.cloudfront.net/books/1276390132l/201989.jpg If so, the artist is Wesley Dennis. Hope that helps! I read the book as a young girl (I’m 74 now) and loved it. I thought my granddaughter would like it, bit her mother won’t allow any mention of horse racing (cruelty to animals). What an interesting read. I have had a copy of King of the Wind with me since Elementary school, along with many other Marguerite Henry books. I thoroughly enjoyed reading the actual history of The Godolphin Arabian. Thank you so much for sharing this fascinating story. Just linked to this article on my website. Great stand alone article and supportive information!